What a welcome! It has been a wonderful start to the new school year. Welcome back to all our families and to the new families, welcome to your new home from home, Kingsmead! On Monday we welcomed our new girls and teachers with the beautiful beating of our drum. The 2018 Grade 7 leaders gave the gift of a drum during our farewell celebrations last year. This Dundun, also called the Talking Drum, forms a rite of passage for the girls and staff entering into our school and leaving our school. The drum will be placed symbolically in a garden, for special events, where it will form part of a pathway representing the journey at the school. Three towers will be placed in the garden alongside the drum. The shortest one represents our Bluebells and Buttercups, building toward our Junior Primary, and then to our Senior Primary, showing the three phases of our school. When the garden is ready, these will be empty, and through a special ceremony, each of the girls will be invited to add a pebble to the gabian, each one signifying that girl’s story. All of these stories come together to make up our school. We hope that this gift will help every girl at our school realise the contribution that they make and experience the sense of belonging to Kingsmead, as part of this community and heritage. The bass drum sound resonates deeply with the calling together of our community. Its rhythm transcends language and cultural differences and unites our community. This year we explored our differences and shared personal stories. It is when we learn to truly listen to each other and understand contextual experiences, that we are able to beat our individual drums in unison to make music. I hope that for years to come, the sound of the drum will be a sound of welcome on arrival and an echo reminding us of the legacy left behind when departing. It will be a call for the individual, who matters first and foremost, to join in the music of our global responsibilities. Wishing all our families a successfully happy 2019. The new timetable has given us the space to create a daily 25 minute lesson that provides the time for Support and Consolidation, Extension, LEAD and Flexi-Time – for every student in the Senior Primary. This lesson is called SELF-Time – a time to consolidate, take risks by learning something new, get organised and connect with the teachers. The SELF-Time Support and Extension activities will be launched in the last week of January. We look forward to offering some varied and interesting opportunities. Welcome back to our Kingsmead community and a special welcome to our new families. This term like all others promises to an exciting one, filled with much activity and competitions. As of this term Sport will become compulsory for all students. Our JS Integrated day for our Grade 0 -3 has incorporated both the physical education and sport practices into the academic day. We are really excited about this initiative as this means that all our Junior Prep students have the opportunity to use our incredible facilities as well as have access to our incredible group of coaches. 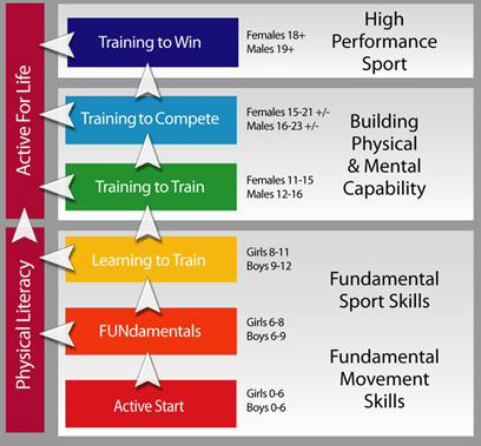 By so doing, each student will be a given a firm foundation as we cover the fundamental skills required that will enable them to participate fully with confidence as they learn different sports in the higher grades. This change will also minimise and open up the afternoon for the students to then take part in other art and cultural activities. The grade 4 – 7 pupils will be able to choose one sport per cycle. Once a student has selected a sport they are expected to attend 2 sessions if they would like to be eligible for team selection. Those who are unable to attend will need to send a doctor’s letter stipulating how long they will be excused from the activity. In extenuating circumstances an email must be sent to sdenenga@kingsmead.co.za explaining the reasons to why your daughter is unable to participate. The sports department will then make a decision and if decision is favourable, your daughter will be given a different task that will still enable her to be part of the team such as “The Press club”. Finally; I would like to reassure our parents that this does not in any way mean that we will lose our aspiration for excellence. Our commitment to provide an outstanding co-curricular programme remains unchanged. We will continue to compete in inter school swimming galas; Diving and Equestrian competitions; Tennis; Netball and Water Polo matches. I look forward to seeing many of you at the side of the sporting field and may your daughters have a successful year full of sporting achievements and happy memories. We are so pleased to welcome Bronwyn Leeming who joins the sports department as a Physical Education specialist. Bronwyn joins us from Trinity House in Ballito and comes with a wealth of experience in the sporting field. Bronwyn is also an avid sportsperson and she currently plays provincial Soft ball. We hope that she will be very happy here at Kingsmead. Earl Granger has decided to terminate his contract with Kingsmead. He has chosen to focus on his High Performance squads and his private clients. We would like to thank Earl Granger and his team for their service over the years. We would like to take this opportunity wish them all the very best in their endeavours. Kingsmead is pleased to announce that we have secured the services of ETA academy. ETA academy’s head coach Emmanuel Panganai represented Zimbabwe and played international tennis as part of the International Tennis Federation (ITF). In 2003 he was ranked in the ITF top 900 in singles tennis as a semi-professional. Mr. Panganai won a 100% Mount Olive University scholarship, to study in North Carolina, U.S.A. In addition to the above achievements he has worked closely with the Black brothers of Zimbabwe. Both Byron and Wayne Black represented Zimbabwe on the international ATP circuit where they are known to have dominated the doubles tennis for a number of years; most notably achieving number 1 status. Mr. Panganai has a tennis instructor’s certificate I.T.F. level 1 and I.T.F. level 2. He holds a professional tennis certificate and he has completed the “Play and Stay” ITF certificate SATA level 1; SATA level 2 and Professional level. The ETA brings the necessary skills and a wealth of experience spanning over 12 years in similar schools such as Kingsmead. The academy will be coaching in both SS and JS. We welcome ETA and wish them a happy and long tenure at Kingsmead. Please free to contact Emmanuel Panganai on 079 427 7438; or etacademy@gmail.com if you would like to arrange private coaching for your daughter. If you have any concerns or questions, please do not hesitate to contact A. Koekemoer or S. Denenga in the sports office. Congratulations to Lucia Sabbioni who travelled to Serbia so courageously on her own to compete in an international gymnastics competition. She was placed 9th in her category. This is a fine achievement indeed. Our aim in the Kingsmead Music department is for every girl at our school to have the opportunity to play an instrument at some point of her school career. It is for this reason that we offer wide range of instruments and run various instrument programmes during the year. More information regarding these programmes will be sent to the parents of the relevant grades. We also strive to make it possible for all our musicians to participate in group music making. It is when playing in an orchestra or ensemble, that music really comes alive! Please see on the app under Arts & Music, for a detailed explanation of all Arts and Music extra-curricular activities. Rehearsal times can be found on the extra-curricular schedule. To sign up for Music lessons or any of our groups, please click on the link below and complete the form. Please note that all Grade 2s and Grade 3s are involved in Choir during school hours, so no sign up necessary for these choirs. No sign up is required for the instrument programmes in Grades 2-5 mentioned above. Choir & Orchestra: BOTH practices/week must be attended. If you are unsure whether your daughter is ready to join the Orchestra, please talk to your daughter’s instrumental music teacher. There is only ONE rehearsal/week for these activities. You may join more than one Marimba band. Any musician is welcome to join a Theory class. You will be placed in graded groups (music grades). This will mean that the instrumental/vocal teachers can focus on instrumental work in the lessons, instead of on theory as well. The cost is kept low by dividing the lesson fee between the girls in each class. Grade 1-3 are covered in groups of a maximum of six in a class; Grade 4 with two or three girls in a group; and Grade 5 in individual lessons. Use the application form on the Kingsmead app or the link below to sign up for Individual music lessons. The lesson fees for 2019 is R218/half hour lesson. Please read the notes on the 1st page of the form and on the online form for the charging policy. These are offered as individual music lessons for girls who want to pursue creating, composing and producing music. Please use the music application form (above) to sign up for these. Please visit the Kingsmead App and look under ‘Arts & Music’ and ‘Extra-Curricuar’ for more information about what we offer. Please let us know if you have any more questions or queries regarding Music or the Arts at Kingsmead.